So many people are intimidated by biscotti, but before you give me your list of why you have not baked biscotti before let me ask you..
You want a make ahead gift that can be made days in advance and kept at room temperature? You want a light, crunchy and delicious cookie? You want a cookie you can dress up (with nuts, dried fruits and chocolate)? You want to impress your family and friends with your baking expertise? You are craving a cookie but don’t want to eat a day’s worth of calories in one bite? 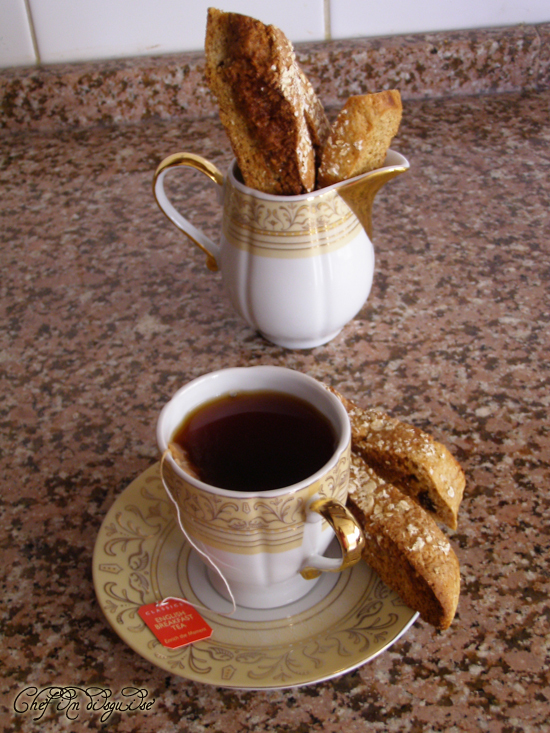 You like dunking something delicious in you tea, coffee or milk? Today’s recipe may just be my favorite biscottie recipe..I do love honey sesame biscotti and honey Pistachio Biscotti which I have already shared with you but these are different. They are a beautiful melody of dates, oatmeal and spices. The oats makes them light and airy while the dates add sweetness and depth of flavor, a whisper of cinnamon and a touch of cardamom accentuate the other flavors without over powering them. Beat eggs, adding sugar gradually, at medium speed until smooth and light. Add the flour mixture to the egg mixture. Drop spoonfuls of batter onto baking sheet and, with wet your hands with some water , form into rectangular log. Sprinkle a few oats on top for decoration. Slice logs into 1-1.5 cm and lay flat on baking sheet. Lower oven temperature to 150 C.
Bake sliced cookies for 15 minutes, flip them and bake for an additional 15 minutes. If cookies are not firm, depending on how thickly they were sliced, turn again and bake for 10 more minutes. 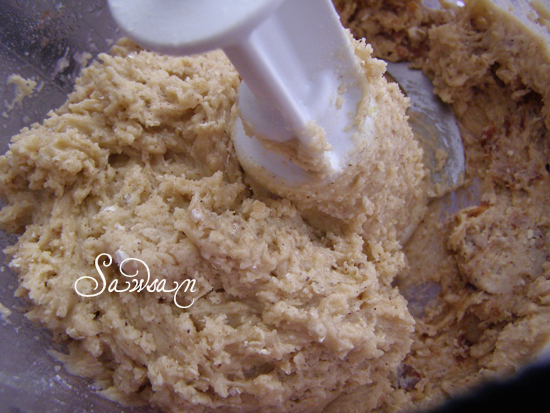 Posted in Biscotti, macaroons and cookies and tagged baking, biscotti, dates, oatmeal, postaweek2011. Bookmark the permalink. I love the idea of adding cardamom. It’s one of my favorite spices, but I’ve never tried it in biscotti. Our go-to biscotti is an orange zest and honey. I also like anise, but my wife isn’t a huge fan. I think dates go really well with a number os spices..cinnamon, cardamom, cloves, nutmeg..That’s why I liked this recipe the minute I did it..my husband’s favorite is orange zest and dried figs..
🙂 Can’t wait to hear what type of biscotti you will make..
Wow, oatmeal biscotti sounds lovely! Keep up the good work on this blog! This is really something! 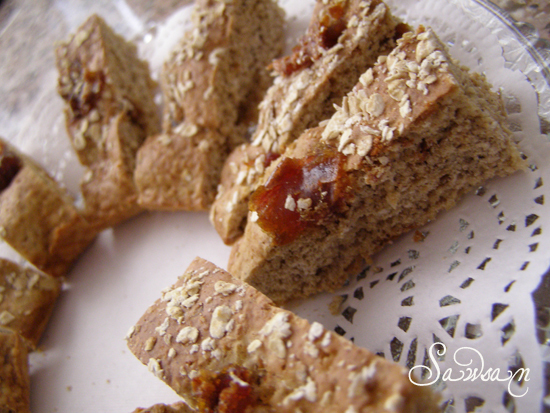 I love biscotti and have made it many times, but NEVER with oatmeal….Bravo! every one has said nice things about the recipe but any comments on how it turned out? I couldnt wait for any comments so i tried the recipe out, Delicious is how i would describe them with just the right hint of cardamoms. very easy to make too. my compliments to the chef. just bought a mixture of different fruit, and wanted to make cookies for a special aunt’s birthday. While I googled my ingredients, I came across biscotti recipes, then I found this! 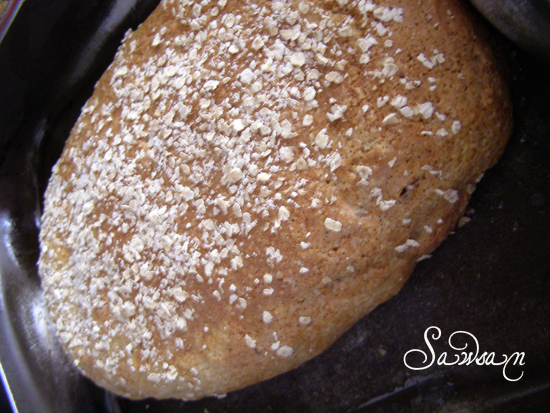 It’s the perfect mix of all the ingredients I prefer to bake with, simple and straightforward! Im in the final stages of baking and stole a taste of the end bit and it’s truly superb!!!! I added in orange zest to mine, which complements the cardamon well. Thank you for sharing!! !